Now that winter has truly set in, you’re probably starting to feel a little bit of cabin fever. Before you spend yet another weekend binge watching Netflix and dreaming of summer, take a look around your home. There are plenty of projects you can tackle in a weekend that will help breathe new life into your space and pass the time until warmer weather comes. The best part is that most of the following projects are inexpensive and can be done on your own, or with a little help from a Chicago handyman service. While scrolling through Netflix, you’ve probably spotted “Tidying Up with Marie Kondo” and probably even binged on an episode or six. If so, you aren’t alone, as thousands of viewers have been inspired to try her KonMari method of organizing their homes, to the point where thrift shops and charitable organizations are reporting massive spikes in donations. While you don’t need to use this particular form of decluttering (which involves getting rid of anything that doesn’t “spark joy”) it’s worth devoting some time to clearing out and re-organizing parts of your home. Go through your closets and donate clothes you don’t wear or that don’t fit, spend a few hours clearing out kitchen cupboards and tossing old stuff or finally organize that hallway closet that you are afraid to open. Just spending a few hours getting rid of clutter and finding a home for all your belongings can help you feel less stressed and create more space. Changing the backsplash in your kitchen can go a long way toward changing the look of the room and pulling it together. And it’s easier to do than ever, thanks to the range of tile options available today. You can opt for the traditional method of using grout and individual tiles (which might take a bit longer and require some expert help if you’ve never tiled before) or choose a more DIY-friendly option like self-adhesive tiles. Your local home improvement store likely has a wide selection of peel and stick mosaic tiles that mimic the look of intricate tilework for a fraction of the cost and effort. 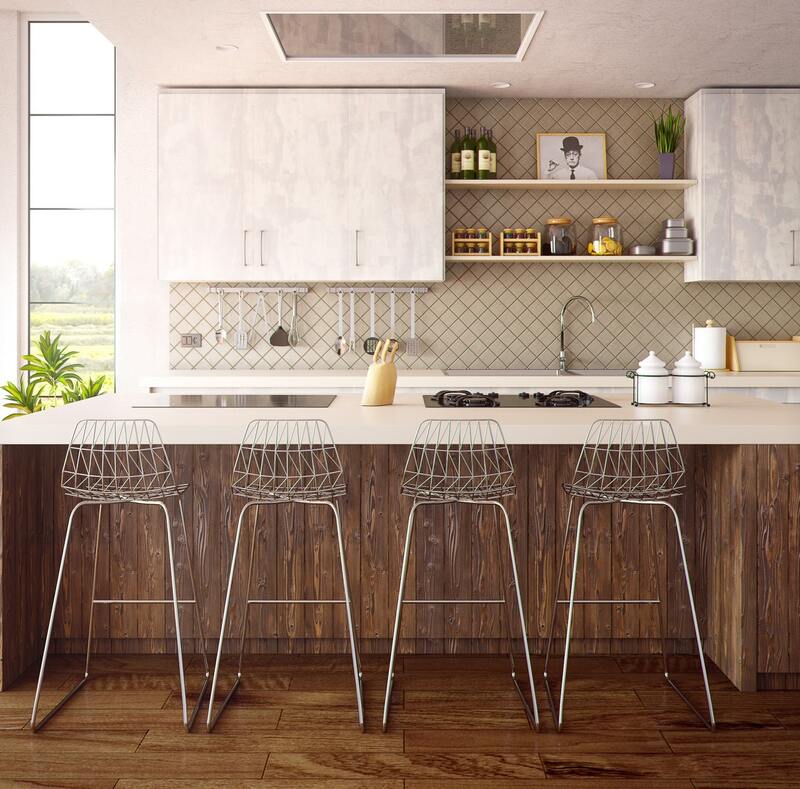 Depending on the size of the kitchen, you could install a backsplash in just a few hours. Another simple upgrade that creates major impact is updating the hardware on your kitchen cabinets and drawers. Changing outdated drawer pulls and cabinet handles can help make your kitchen feel fresher and more modern. Don’t limit yourself to what’s available at the home improvement store, either. There are literally thousands of options for hardware available online, at antique and vintage boutiques and even in craft and hobby stores, allowing you to choose hardware that reflects your unique style. 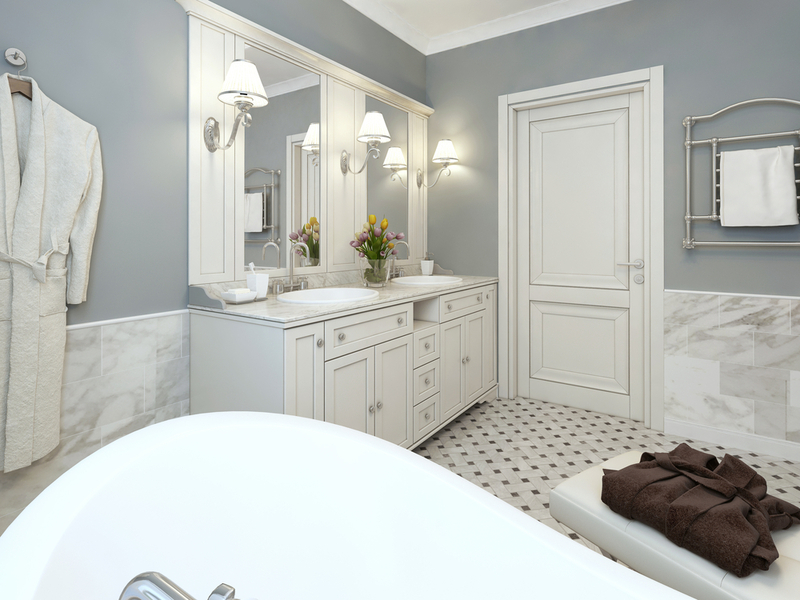 While you might not have the budget (or the stomach) for a full gut-job on the bathroom, there are some easy tweaks you can make to turn your bathroom from blah into a full spa experience. Try painting the walls in a soothing, relaxing color or switching out your linens for more luxurious versions. Changing the fixtures on the sink, updating lighting or installing an upgraded showerhead are all easy projects that can enhance the look and feel of your bathroom. Even smaller projects, like re-grouting tiles, can freshen up the space. As the winter heating bills start rolling in, you’re probably looking for ways to reduce them and cut back on your energy consumption. One of the best ways to do that is to install a new programmable or smart thermostat. With one of these gadgets, you can adjust the temperature of your home throughout the day, so you aren’t spending more to heat the house when no one is home. With a smart thermostat, you can track your energy usage and make tweaks where necessary. Smart thermostats aren’t the only gadgets to look into during the winter, though. The first months of the year are often a great time to score amazing deals on appliances. As manufacturers roll out their new models, many appliance and home improvement stores offer major discounts — in some cases, several thousands of dollars off — on floor models and remaining inventory of the previous models. If you have been thinking about a new fridge, stove, washer and dryer or other appliance, it’s worth checking out the sales. 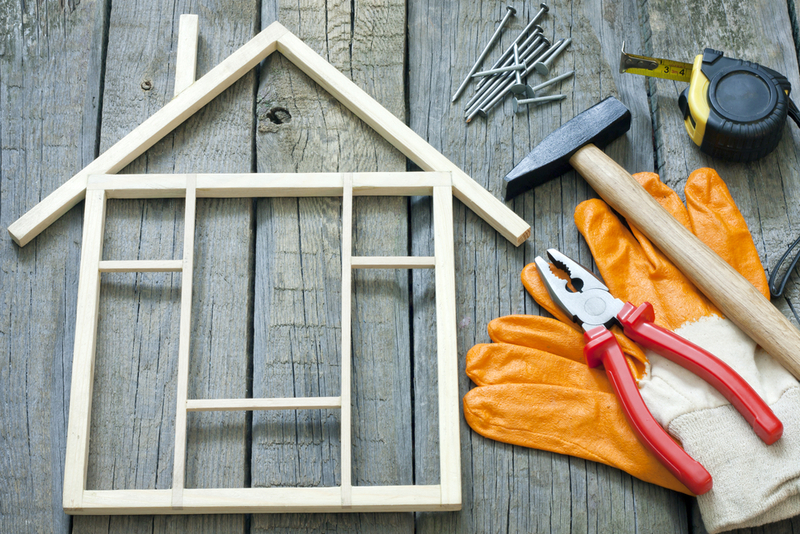 Taking care of your home is an ongoing chore, but when you’re stuck inside during the winter months, it’s the ideal time to get some of those smaller projects taken care of. That way when the warmer weather arrives, you’re ready to get outside, and your home looks great.